Most analysts and consumers are expecting Apple’s next-generation iPhone to move away from the current design language, and be launched into the market sporting a design which will truly make it stand out from previous iPhones, as well as the competition from other manufacturers. However, do we really imagine that Apple could actually introduce an iPhone 8 – or whatever the company chooses to call the 2017 iPhone – with a transparent screen? The creator of this concept believes it may happen. Well, perhaps one day, but this year? Likely not. One of the increasingly frustrating things about the creation of ideas such as this one is that the designer very rarely actually stops to think about the legitimacy or possibility of introducing such a creation to a mass market in the year 2017. Furthermore, there are a number of buzzwords and features added for the sake of it, but without any lip service paid to how the designer actually envisages the feature working in real life. Such is the case with this beautiful, but extremely unrealistic transparent screen which just would not work in a real-world device, at least not yet. Still, it’s stunning to look at and imagine an iPhone that you could interact with whilst seeing the environment directly through the display. 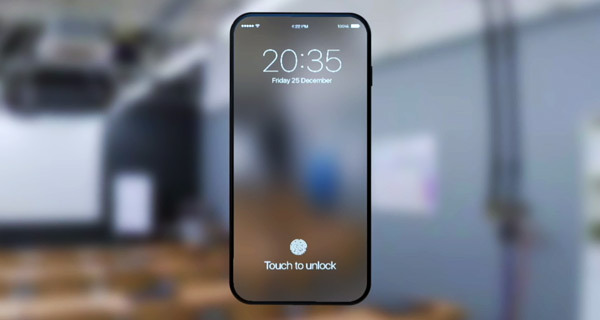 The designer also imagines the said iPhone featuring an Ultrasonic fingerprint sensor for cutting-edge, super secure, and rapid response fingerprint detection to gain access to the device as well as making purchases through the App Store or via apps using Apple Pay. The internal speaker system has also shown to be upgraded to provide much clearer audio with a Piezoelectric speaker system. Other than those changes, the designer hasn’t provided any information on potential technical specifications, such as the underlying processor, camera system or included RAM, that Apple should or could add to its next iPhone. 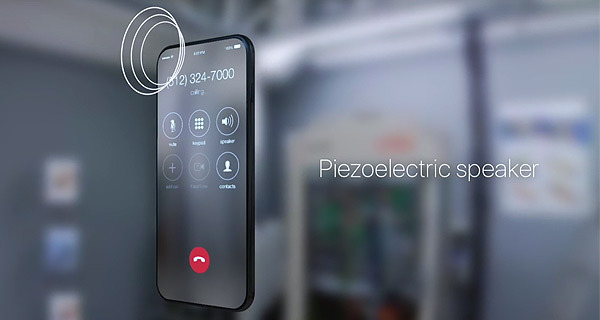 Guess the video is purely about the exterior and physical product design of the device, rather than a full working realistic render of what iPhone is likely to look like this year. It’s a nice idea, yes, but unlikely to happen this year, or perhaps a few more. Check out the video for yourself embedded below, and let us know what you think.